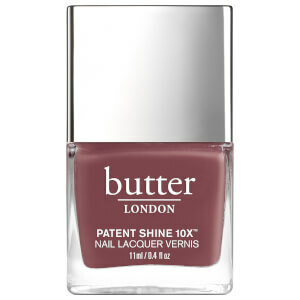 Treat your nails to the butter LONDON Sheer Wisdom™ Nail Tinted Moisturiser; a quick-drying nail polish that glides on effortlessly to deliver natural-looking colour with a high-shine, long-wearing finish. Fortified with innovative Micro Smart Active Technology, the formula delivers nourishing ingredients to repair and condition nails, including Vitamin E for antioxidant protection, Keratin for strengthening nails, Tea Tree Oil to combat brittleness, and Arginine to prevent breakage. 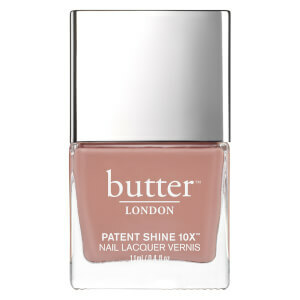 'Tan': Sheer caramel with neutral tones. Apply one to two coats to clean, dry nails. Let dry completely. No base or top coat needed.